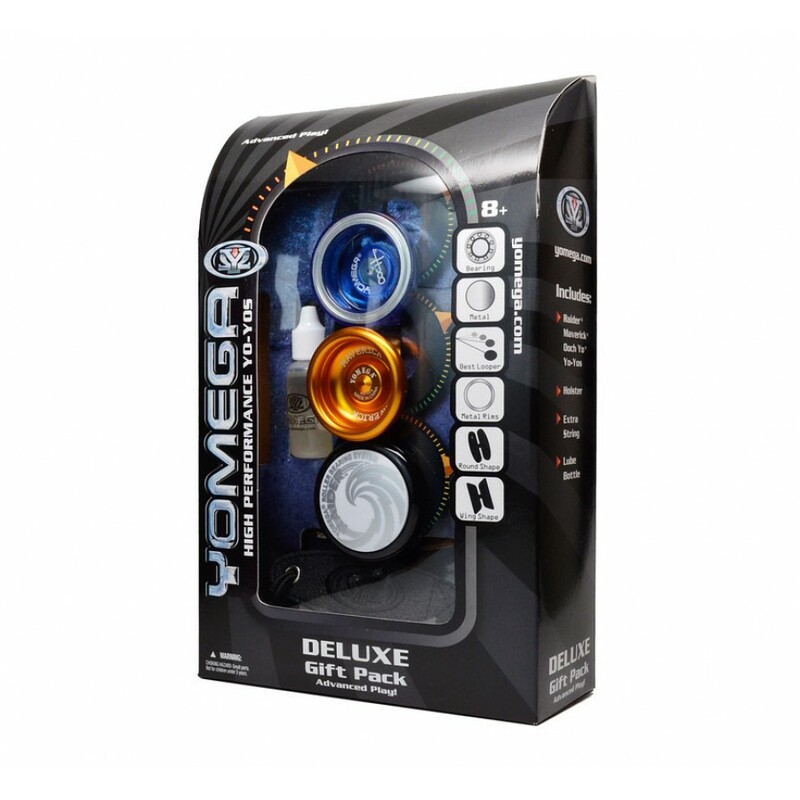 The Yomega 3 Piece Deluxe Gift Set is designed to please the more advanced player. 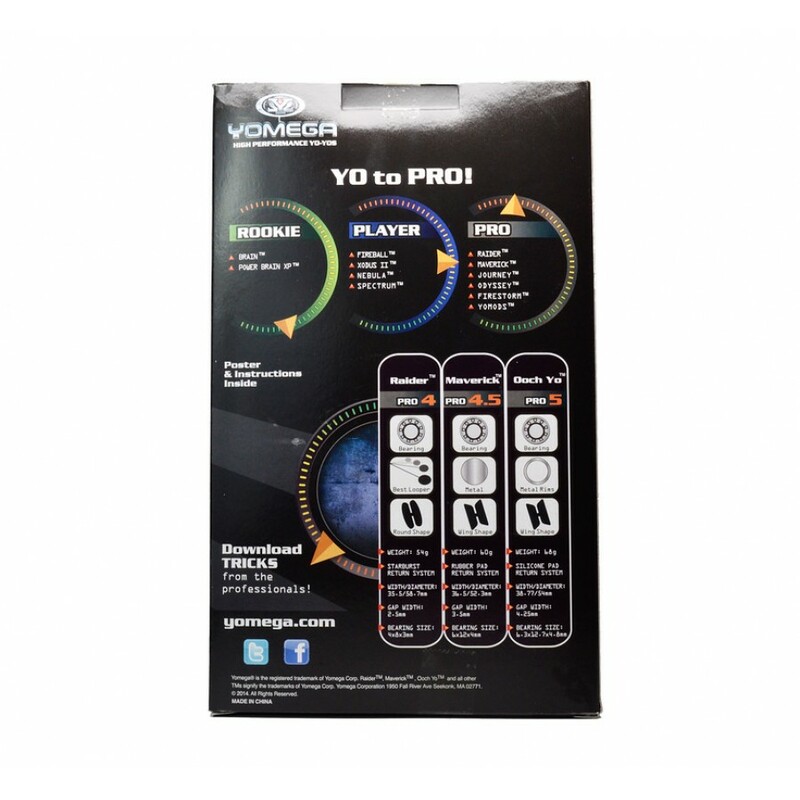 This set includes Yomega’s Ooch, Maverick, and Raider yo-yos that are designed for advanced play. 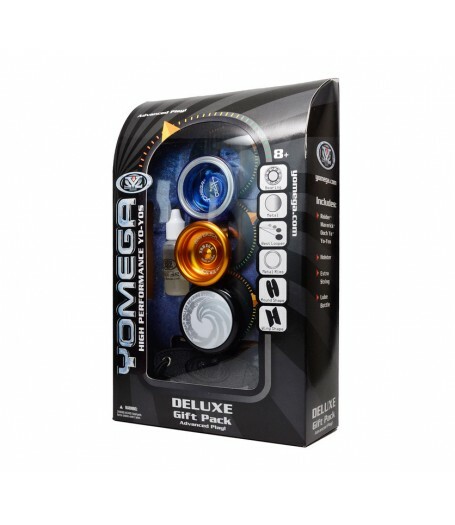 Also included in this set is the Yomega holster, lube and extra string. NOTE: the colours you receive in this pack are random!